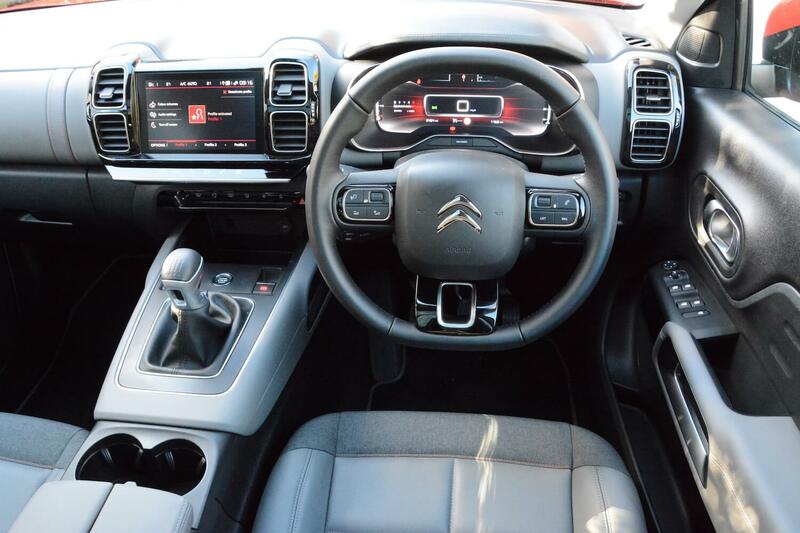 The Citroen C5 Aircross is good to drive, it has excellent ride quality, along with lots of space, and it offers good value for money. 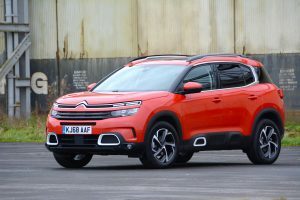 Car buyers want SUVs, certainly more than they want people carriers, so the Citroen C5 Aircross is designed to appeal to families who want a spacious car with a more adventurous image than a traditional family car. 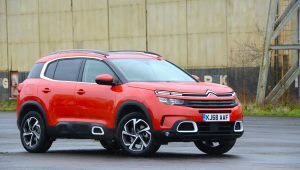 The Citroen C5 Aircross 5 door SUV Flair+ PT 130 S&S has a 3-cylinder, 1.2-litre turbo petrol engine, a 6-speed manual gearbox, and front-wheel drive. 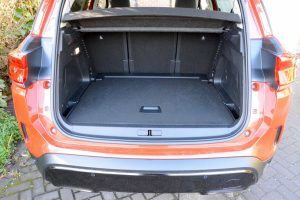 It looks SUV-like on the outside, and it offers lots of space on the inside (although it’s just a five rather than a seven-seater) – and the large sunroof on our test car is likely to assist with the impression of light and airiness in the interior. There’s a good-sized boot, and there’s even room underneath it for a space-saver spare wheel. 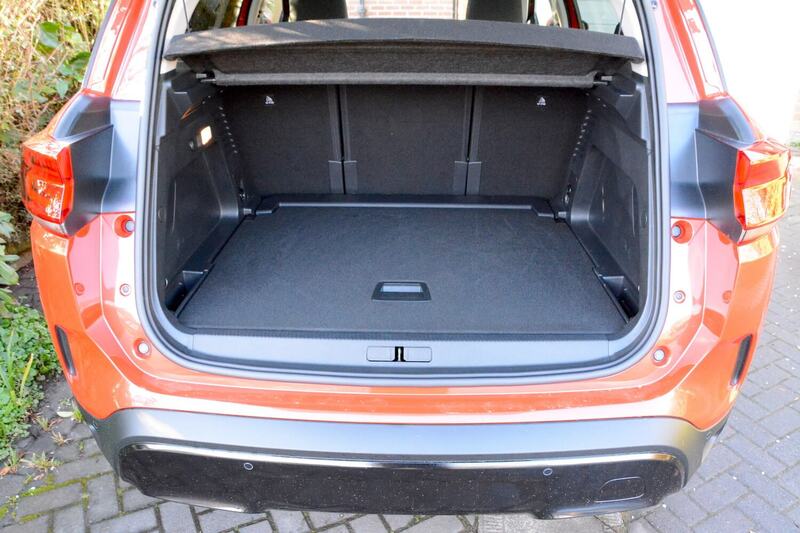 The rear seats slide and tilt forwards and backwards to offer more space in the boot or more space in the rear seats. There’s even lots of room for storage in the interior, such as under the centre console. The driving position of the C5 Aircross is quite different to ‘traditional’ cars. It feels like the seat is positioned very high relative to the footwell, and the gearstick also feels much higher than in most cars. In vehicles such as a BMW 3 Series Saloon you feel as though you’re almost siting on the floor in comparison. Once underway the C5 Aircross is good to drive. The 3-cylinder, 1.2-litre turbo petrol engine delivers much quicker and more flexible responses than a diesel engine. And the manual gearbox allows you to enjoy more instant responses than you find with many automatic transmissions. 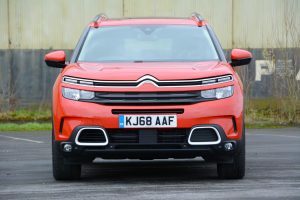 When driven as 99% of owners will drive it – in other words for tasks such as the school run – the C5 Aircross is perfectly capable, however if you ask too much of it in terms of performance, you’ll soon be reminded that this is a fairly large car with a relatively small engine, and it doesn’t like being pushed out of its comfort zone. There’s no selection of different drive modes, apart from an Eco button. The other good news is the ride quality, which is excellent. Most roads on the standard test routes in South Manchester have more pot holes than they have stretches of smooth tarmac, and the occupants inside the C5 Aircross are amazingly well insulated from the relentless series of craters under the wheels. Testing around 50 vehicles per year on the same roads really does highlight the cars that have a ride that is too firm for badly maintained urban environments, and it’s a very welcome surprise when a car glides over the surfaces that would be more at home on a farm track. 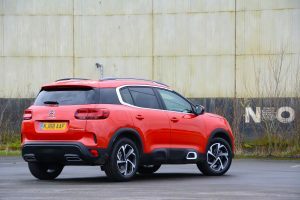 Because the focus is on a comfortable ride, don’t expect the handling of a sports car, and of course this model is front-wheel drive rather than four-wheel drive, so although it might look the part when it comes to SUV styling, best not to drive it up a mountain in the snow (unless you have winter tyres fitted of course). 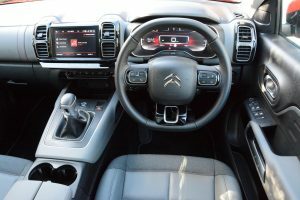 As any regular visitor to Green Car Guide will be aware, we’re not fans of the majority of a car’s controls having to be accessed via the touchscreen, but unfortunately this is the case with the C5 Aircross. In particular, having to go into the touchscreen and repeatedly touch arrows to quickly get the temperature up or down is a real pain, especially when getting in the car on a cold morning, and is distracting when driving. You also lose sight of the satnav when you’re doing this. What makes it worse is that there’s no ‘home’ button for the touchscreen. While we’re on the subject of infomedia, most of the time we were using the satnav, the mapping didn’t seem to display any place names, and we struggled to enter postcodes. Oh, and the graphics on the main instrument display in front of the driver also look a bit gimmicky. Finally, as is the case with many new cars today, we’re sure that the lane departure warning system is likely to result in causing more crashes than it prevents, as people look under the dashboard to find the button to switch the system off to prevent incessant beeping when consciously crossing white lines. 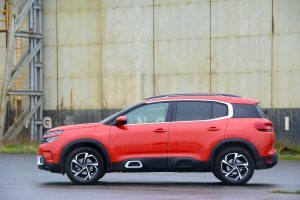 The official WLTP combined fuel economy for the Citroen C5 Aircross 5 door SUV Flair+ PT 130 S&S is 40.4 mpg, with CO2 emissions of 122 g/km. So what did we achieve in real-world driving? Well, we actually averaged 42.7mpg, which is better than the official WLTP combined fuel economy figure. However this is for our usual mix of 80% long journeys (during which we averaged 43.4mpg). In our 20% of urban driving we averaged as low as 28.7mpg. If you drive the car hard this would be worse. This isn’t great for a car that’s likely to spend most of its time carrying out duties in urban or suburban areas, and reflects what happens when you have a petrol rather than a diesel engine. However a petrol engine is cleaner than a diesel engine from the point of view of emissions that have an impact on local air quality. 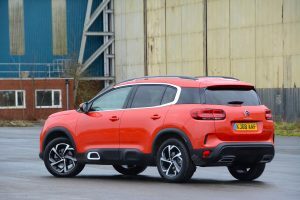 Of course a pure electric car would be better still, however there are currently no pure EVs at this size, at anywhere near this price point, and certainly not with the 460 mile driving range that the C5 Aircross predicted. 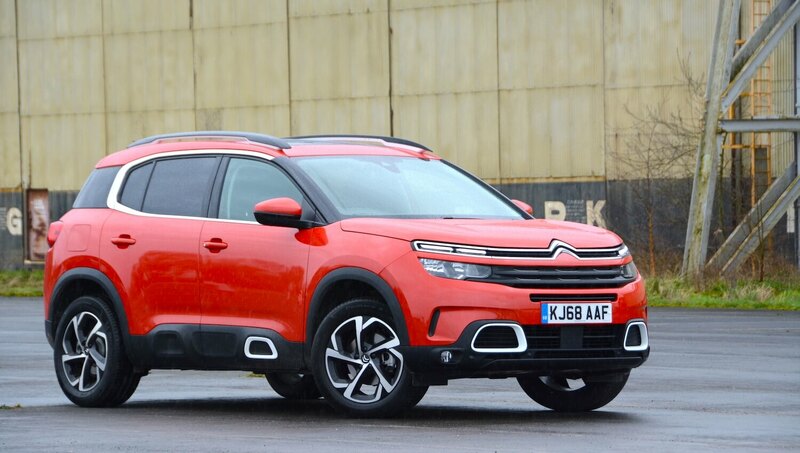 The Citroen C5 Aircross 5 door SUV Flair+ PT 130 S&S costs £25,325. This is good value for an SUV of this size. However our test car did have the following options: metallic paint (£545), hands-free tailgate entry and start (£790), opening panoramic glass roof (£990) – taking the price to £27,650. 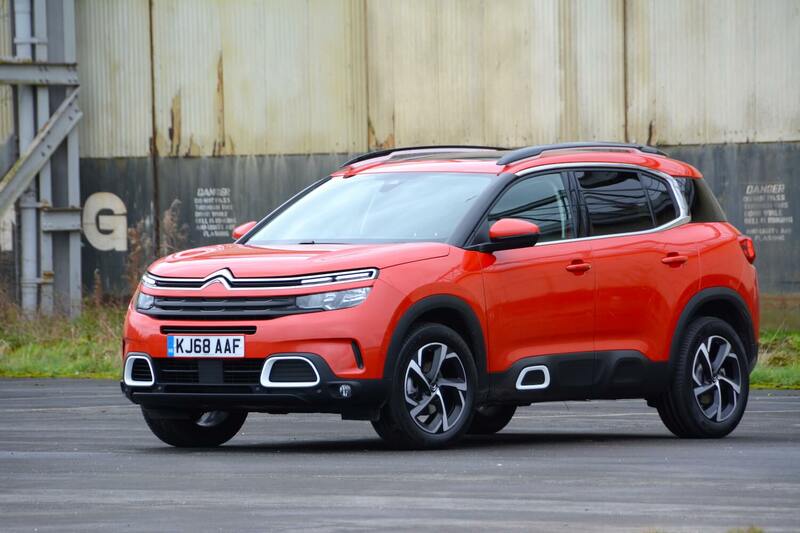 The engine options for the C5 Aircross are PureTech 130 S&S, BlueHDi 130 S&S, BlueHDi 130 S&S EAT8, PureTech 180 S&S EAT8, BlueHDi 180 S&S EAT8, and the trim levels are Feel, Flair and Flair Plus. 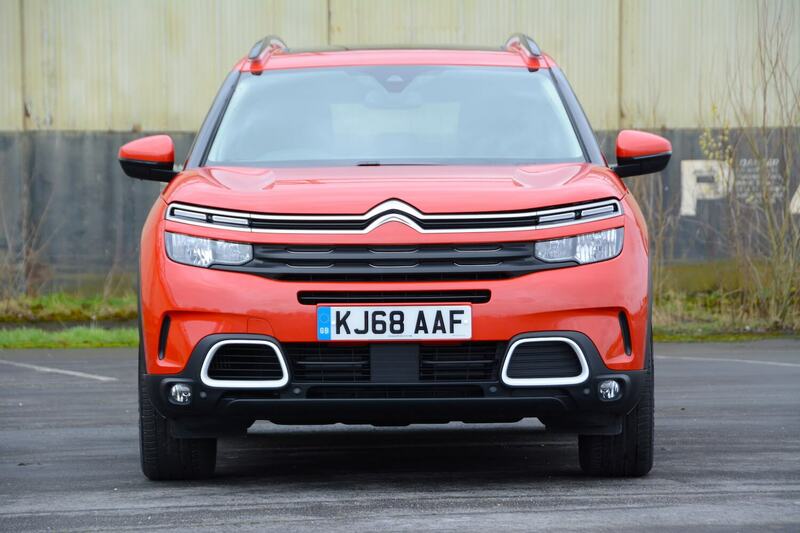 The Citroen C5 Aircross 5 door SUV Flair+ PT 130 S&S is a good car to drive. The petrol engine delivers more instant and flexible responses than a diesel engine would, but in return you receive petrol levels of fuel economy – perhaps in the region of 30mpg around town. 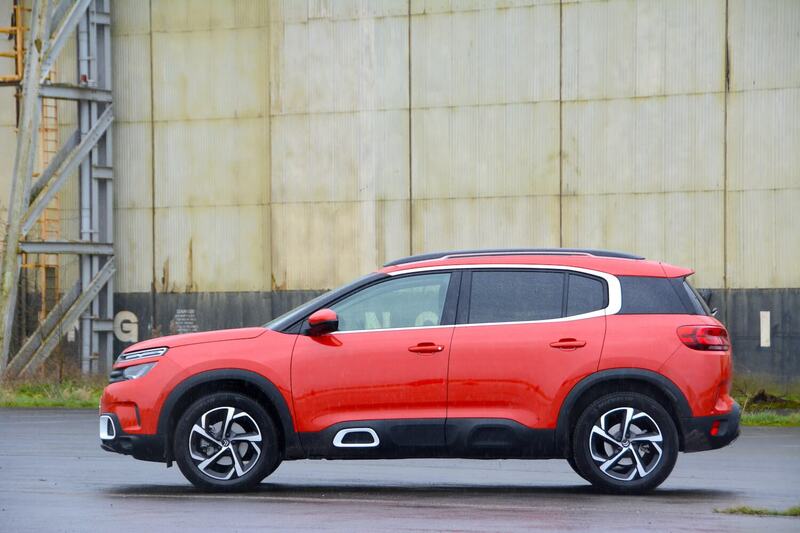 The stand-out driving quality is the car’s ride, which insulates occupants very effectively from the shocking condition of the road surfaces that we encounter on our test routes. 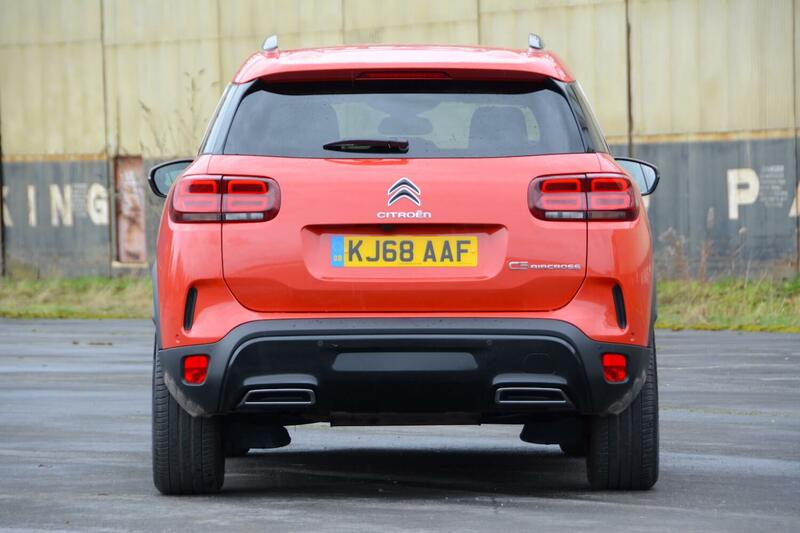 The C5 Aircross also offers lots of space, and all for around £25,000. So, despite grumbles such as the policy of putting too many of the car’s controls on the touchscreen, the C5 Aircross gains a Green Car Guide rating of 8 out of 10.